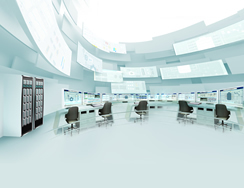 Energy Brix Australia Corporation (EBAC) commissioned Yokogawa Australia Pty. 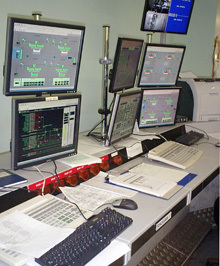 Ltd. to modernize the Morwell Power Station and Brown Coal Briquetting Plant by replacing their control and monitoring systems with a modern Yokogawa CENTUM CS 3000 distributed control system (DCS) and a range of field instruments. EBAC is a long established electric utility in Morwell, which is in the coal rich Latrobe Valley region approximately 150 kilometers east of Melbourne, Victoria.The Morwell Power Station has an installed generating capacity of 180 MW and was built in the 1950s by the State Electricity Commission of Victoria to generate power for the national power grid. 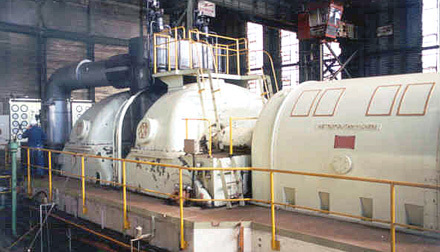 The Morwell Station also provides process steam to the adjacent brown coal briquette factory. Following the successful completion of this complex and challenging project, Yokogawa Australia and EBAC were jointly awarded the prestigious 2009 PACE Zenith Australia Industry Award for their leadership in the application of technological excellence and innovation. The PACE Zenith Awards were established in 2004 and are presented to Australian industry annually for outstanding achievements in technological excellence and innovation. 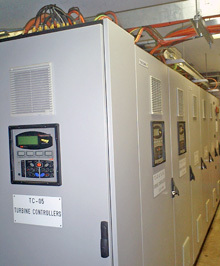 Yokogawa Australia's projects have previously won awards in 2005, 2007, and 2008. EBAC believes that the engineering complexity and innovation involved in installing 21st century control systems technology in an old plant was quite remarkable. Not only did the project increase the reliability of electricity supply, it reduced plant stress and decreased its maintenance costs. This was accomplished by optimizing the use of raw fuels. The successful outcome of this control system modernization project will allow the Morwell power generation and briquetting facility to operate well into the future while meeting anticipated economic and emissions standards. 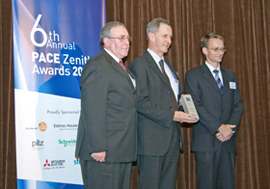 Peter Morrow, General Manager of EBAC (left) and Philip Nicholson, Principal Engineer of Yokogawa Australia (center) accepted the PACE Zenith Award from Jeremy Needham of Mitsubishi Electric, sponsors of the Transport, Power and Infrastructure category.